For your last constellation, we're going to begin at the Observatory. 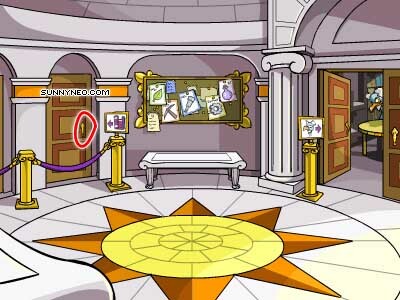 Click the Return to the Hall of Heroes button and you will be looking down into the Hall of Heroes. Click on one of the three dots you see on the floor. 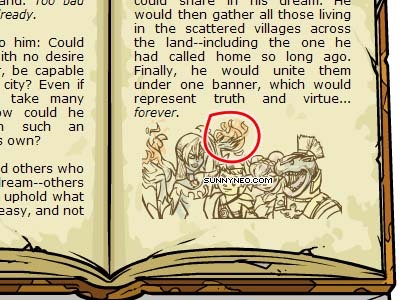 :O A clue already? Lets check with Finneus. may as well get this over with." Don't go getting your hopes up, though. There are only three stars, surely that's not enough to make a constellation. Let's look for the rest of the constellation. Perhaps the janitor will know where to begin searching? The janitor says, "I saw you almost fall out of the observatory! to go down to the basement and take a look, just let me know." Well thank you Mr. Janitor, we would like to look around in the basement. Click the Visit the Basement button. The basement of the Hall of Heroes is full of mysterious machinery. Hmm, doesn't seem to be anything of interest here. Let's see if Finneus has any idea what we should be looking for. in the same place as the first half. That would be too easy." Let's see if we can find any clues in the Perfectly Flat Rock Quarry. Click on the flat rock. you can't come in here! 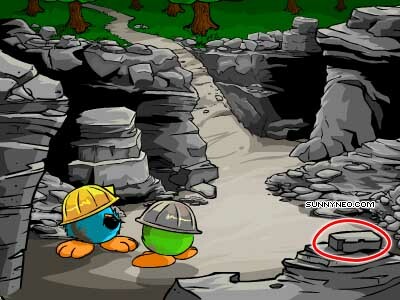 This quarry's for official business only!" The other quarry worker nudges him. "I think they want one of the rocks," he says. cost ya -- 50 neopoints!" Click Buy a Rock for 50NPs (you don't really buy it). you go. Don't know what you'd want a perfectly flat three-inch rock for, but..."
He shrugs, which is a neat trick, considering JubJubs have no shoulders. Return to the janitor, and then go into the basement. The gears are now clickable. Click one of them to shove your rock in it. Go back to the janitor and click the button on the wall to close the ceiling. Interesting... return to the basement and take back your rock. This rock seems helpful, lets get some more. Go back to the Perfectly Flat Rock Quarry. Click the ground behind the Jubjub to throw your rock as a distraction. quarry. "Hey, what was that?" one of them says, peering around curiously. Quick, while they're distracted, find a rock. This one looks good. The quarry workers turn back around. "Oh well, I guess it was nothing. Say, it sure does seem like there's fewer rocks in here than there used to be." Click on the rock that you threw behind the Green Jubjub to get it back. Now you've got two rocks, neat. Go to the Herbalism Club to check up on the grumpy Quiggle. "*sigh* No one ever wants to join my club. It's useless!" I should have stayed in the circus." Ask him to teach you how to juggle. for a second, then scowls at you. "Now GET OUT! I've got to go back to being arrogant." It would be mighty fun to juggle with the rocks we've got. Unfortunately, there are only two. Head back to the Perfectly Flat Rock Quarry to get a third. Click on one of the Jubjubs. by square rocks all day. They're not interesting at all." "Unless you're a JubJub," says the other quarry worker. juggle, now that would be something." Click the So Give me Another Rock button. Now that looks like a constellation! Return to Finneus to make sure you've got it all this time. 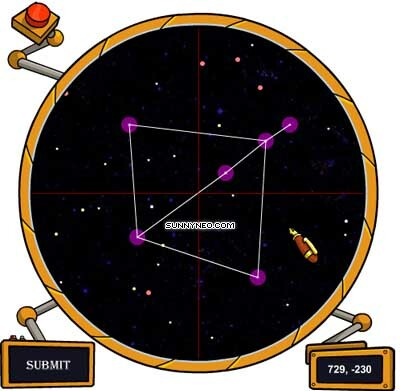 Head up to your telescope to find the last constellation. When you've got it, click submit! Congratulations! 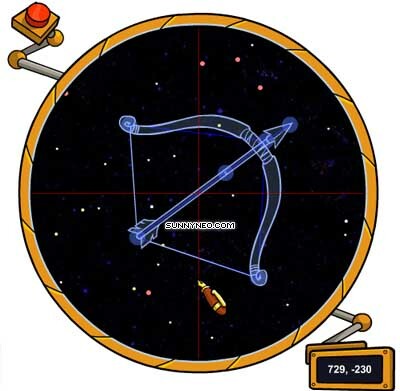 You've just found your last constellation: The Hunter! circles, frothing at the mouth and growling incomprehensibly. The Astronomy Club members greet you warmly as you enter the room. you really deserve the credit." The club members gather around you. "Three cheers for you! Hooray!" the magical source of their lighting has been shut off." us in unraveling this mystery." slowly begin to regain our memories of past history as it decays." The Book of Ages has a new Chapter! Don't get excited, we're not done yet. Visit the last page of the Book of Ages and click on the Darkest Faerie's hands. Return to Finneus, and see what he has to say about this. something, you say? But what?" Hall of Heroes. 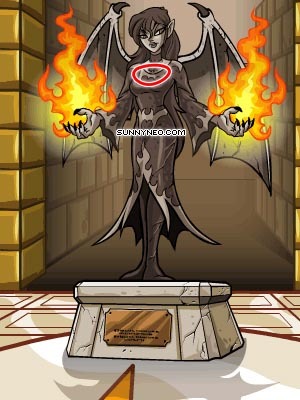 Except on the statue, the flames are stone, just like the rest of it. spells, just the titles of books." be... madness of some kind." Once you've got your coordinates, enter them into the chart below to get your library coordinates. These are your library coordinates. Head over to the Archives and into the Library. 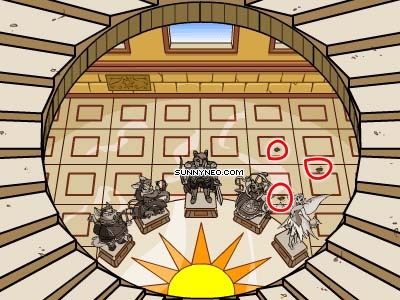 Click the door at the top of the room. Now, check your URL. You will see &arcx=0&arcy=1. &arcx=0 is your X coordinate, and &arcy=1 is your Y coordinate. Change the 0 to the X coordinate you ended up with after all your math. In our example, the 0 would be changed to 15. Now change the 1 to the Y coordinate you got from your math. In our example, we'd change the 1 to a 9. 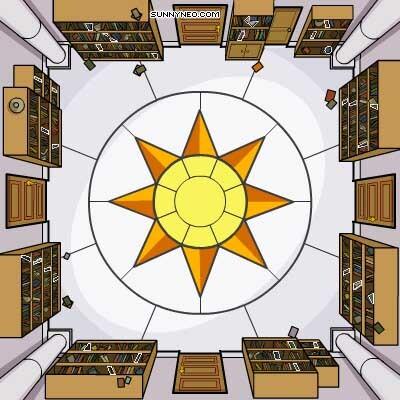 This is the room the Spellbook is in. This spellbook contains 52,143 distinct spells! Which one do you want to cast? Enter spell 29884. No commas. Despite the page saying nothing happened after you entered the spell, something in fact did happen! Check the Hall of Heroes and click on the Darkest Faerie statue to see exactly what it was that the spell did. Click her chest area to put the necklace on her. into a pile of rubble! staggers back, looking very dizzy, and puts their hands to their temples. Altador striding into the room, Jerdana at his side. to Jerdana, and bows before her. "My lady, I'm so, so sorry to have doubted you. I didn't remember, you see--"
matters to my friend over here." He glances at you. spell, you have not remembered anything. So allow me to explain." King Altador puts a hand on your shoulder. "Let us adjourn to the Council Chamber," he says. You'll be taken to a page with a lot of text. Read it if you're into the story, if not, just click Return to the Council Chamber. Congratulations. You've completed the plot! Check out the prizes!